If you're fond of observing a new season unfold, you already know that a huge indicator of a new season is the changing of the leaves. Surprisingly enough, leaves can cause an intense array of feelings. They can produce happiness, like when you play in leaves that dropped off a tree. They can cause deep joy just by looking beautiful in pictures. Leaves can cause anger, like when they stain your car and driveway in the fall. Leaves can also cause sadness when you notice that summer is over, fall is swiftly ending and you won't see another leaf until the spring. There are many different types of leaves, and each leaf plays a considerable part in the circle of life. When it comes to plants and trees, leaves are more critical than some of us think. Take trees, for example. Tree trunks and branches utilize leaves as their primary support system in order to survive. They lift the leaves up toward the sun so they can catch the sunlight. Leaves keep trees and plants alive, as well as us too. They collect carbon dioxide, which photosynthesis converts to sugars and oxygen. A leaf can be defined as a plant-organ above the ground. A typical leaf is considered to be thin and laminar (a thin layer, plate or scale of sedimentary rock, organic tissue or other material). The primary function of a leaf is to go through photosynthesis. A leaf cell contains chloroplast that's exposed to light to initiate the process of photosynthesis. Photosynthesis is the process by which green plants and some other organisms use sunlight to synthesize foods from carbon dioxide and water. Photosynthesis in plants generally involves the green pigment chlorophyll and generates oxygen as a by-product. Leaves can also absorb water vapor from the air, store food and water, provide protection and carry out many other functions to help the tree survive. The leaf is a powerhouse for many plants and trees because that's where all of the food material converts its energy for the plant. 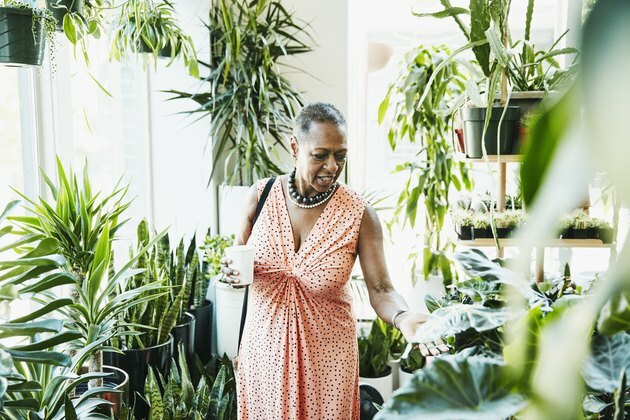 Plants and trees are essentially learning to adapt to the environment or climate that they're growing in, so the shape, size and various other physical attributes of their leaves are a direct correlation to their surroundings. There are two broad classifications for leaves, which are then filtered down into separate categories based upon their attributes. The two main categories are simple leaves and compound leaves. A simple leaf has a single blade on its stalk and the stalk is attached to the plant body. A compound leaf is a leaf stalk that has more than one leaf blade on it, and the multiple leaf blades are called leaflets. The multitude of leaflets makes one single leaf that's attached to a single stalk. Similar to the simple leaf, if the stalk of a compound leaf is removed, a scar mark is left on the plant body. Although the simple leaf and compound leaf are two broad classifications, you can classify different kinds of leaves based on their other attributes. The primary classification for identifying leaves is through the shape of the leaf. Broad and flat leaves are considered to be seasonal leaves. During the spring season, broad leaves are green and by the end of the summer, broad leaves change color and drop. Ovate leaves are an oval shape and the middle of the leaf is broad. Needle and scale leaves are mostly found on evergreen trees. Evergreen trees hold onto these leaves throughout the winter. They can grow singly or in bundles, vary in length and are narrow and pointed. Scale leaves are flat and lie close to the stem. Lanceolate leaves are longer than they are wide. These types of leaves look like a lance (a spear used by mounted knights that has a wooden shaft and a pointed steel head) at the base and grow narrower toward the apex. Oblong leaves are parallel at the sides and have a rectangular shape with rounded corners. Linear leaves are broad and longer than the width of the plant. Linear leaves don't have points or sharp angles. Cordate leaves have heart-shaped contours and their base extends sharply inwards. The cordate leaf has a prominent notch where the stem extends. Classification by shape is really the best way to identify a leaf, but you can also identify a leaf by their leaf type as well. Categories include leaves on flowering plants, leaves on conifers (a tree that bears cones and evergreen needlelike or scalelike leaves), fronds, leaves on grasses and specialized and unusual leaves. Leaves on flowering plants are called angiosperms. Flowering plants also include shrubs and deciduous trees. They have a classic leaf and are considered to be the most common type that one can find. The classic leaf has a skeleton of veins with a membrane between them and is very delicate. The large surface area allows the leaf to get a lot of sunlight and exchange gases. The only negative about this type of leaf is that animals and pest are very attracted to flowering plants. Flowering plants tend to shed a lot and grow new growth in the spring because they generally only last one growing season. By the end of the season, they're pretty mangled, but they come back in the following year. Flowering plant leaves can grow in a variety of ways. Each species of flowering plant evolves and develops in order to survive in the area they grow. Flowering plant leaves can grow directly from the stem while alternating between sides or they may have many leaves. When they grow with multiple leaves, each leaf has its own stem and they grow from a single point on the plant. The leaves can grow like a fan, whorl (pattern of spirals or circles) or rosette shape. Most conifers are considered to be evergreens, and they have a different leaf compared to other types of plants. Most conifer leaves are needle-shaped. Some have long slim green spikes, while others have ridged or square cross-sections that are needed for added strength. Conifers have dense, spiky barriers that protect the trees from small animals. Conifers don't shed old or damaged leaves. Mostly all of the conifers are resistant to pests or grazing animals. When you look at conifers, the leaves almost look like green scales that are covering twigs. In fact, the green scales are actually thick clustered leaves around a vestigial twig. The needles don't need to collect sunlight or nutrients like broad leaves, and they're more adept at surviving harsh weather. Whereas normal leaves will freeze during the winter months or dry out during hot summers, conifers can survive harsh temperatures. Ferns, cycads, palms and other types of plants have fronds. A frond is a single large leaf that's actually divided into several smaller segments. Each one of the fronds grows out from a single central stalk called a stipe into a series of separate blades. Each blade has a complex shape of its own, but the frond is still considered to be one whole leaf. 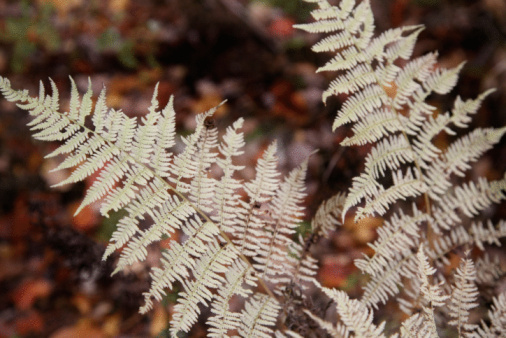 Pests and animals often affect the appearance of these types of leaves because of the characteristics of the fronds. Grass is actually considered to be just a large class of plants because there are many types. The shape of grass can differ, but most grass types have a distinctive form of leaf. Grass has a sheath style, with long slim leaves that grow from the base of the stem and wraps around it. Grass can either have a single leaf per plant or many leaves. The base of the grass stem can be wrapped by multiple leaves that tend to fan out higher up. Some plants also have specialized leaves. There are insect-eating plants that have highly modified leaves. Plants like the Venus flytrap, for example, has a container that traps their prey. The carnivorous plant satisfies its leaves by eating insects. Each leaf has a normal main body that collects carbon dioxide, releases oxygen and carries out photosynthesis just like other plants, but the tip has two lobes on either side of a hinge. The lobes contain hairs that can detect insects and then snap closed. The stiff hairs prevent the insect from escaping the leaves while the plant slowly digests the insect. Another way to identify leaves is by looking at leaf veins. Venation is the arrangement pattern of veins on the blade of a leaf. There are three types of venation: parallel veined, pinnately veined and palmately veined. Parallel venation is when the veins are arranged parallel to each other. These types of veins are smaller and typically run lengthwise on the leaf or they may be parallel and directed outward from the midrib to the margin of the plant. Pinnately veined leaves have a single vein or midrib, and from that vein, smaller veins branch off almost like the divisions of a feather. Lastly, there are palmately veined ribs. These have several principal veins that radiate from the base of the leaf blade.